It was Great Backyard Bird Counting Week last month (February 14 to 17). The participants observe birds in their surroundings and record their observations. An event greatly enjoyed by the ornithologists all over the world. To participate in this event every year, we visit the serene surroundings around our town where kids are let loose to play while we observe the birds. I always bake some quick bread or cake and we have a picnic. This year too, as always, we had a great time. We went to two villages and had good time watching birds, walking on narrow bridled paths in the fields, buying fresh vegetables and walking for miles to compensate for the lack of it here where dirt and maddening traffic makes walking a dangerous affair. This year we observed 20 species! 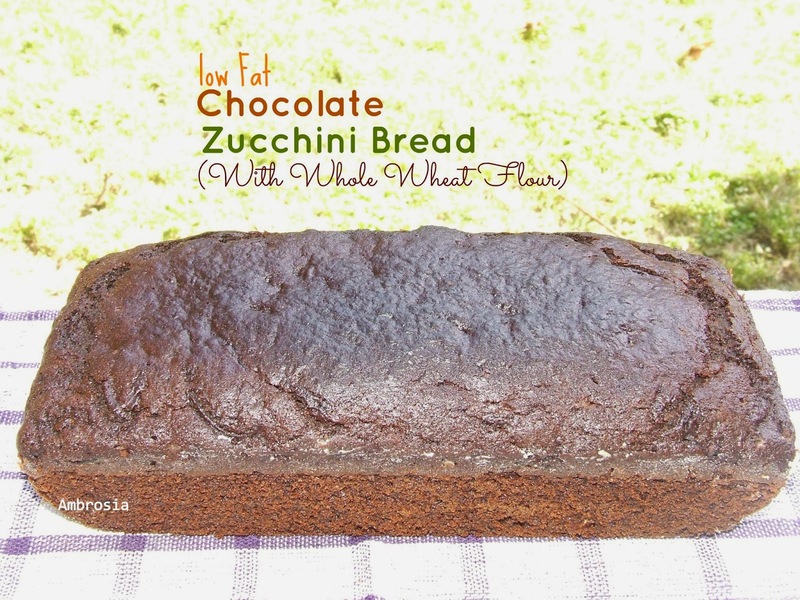 Here is the recipe of Zucchini Quick Bread I made for our picnic. 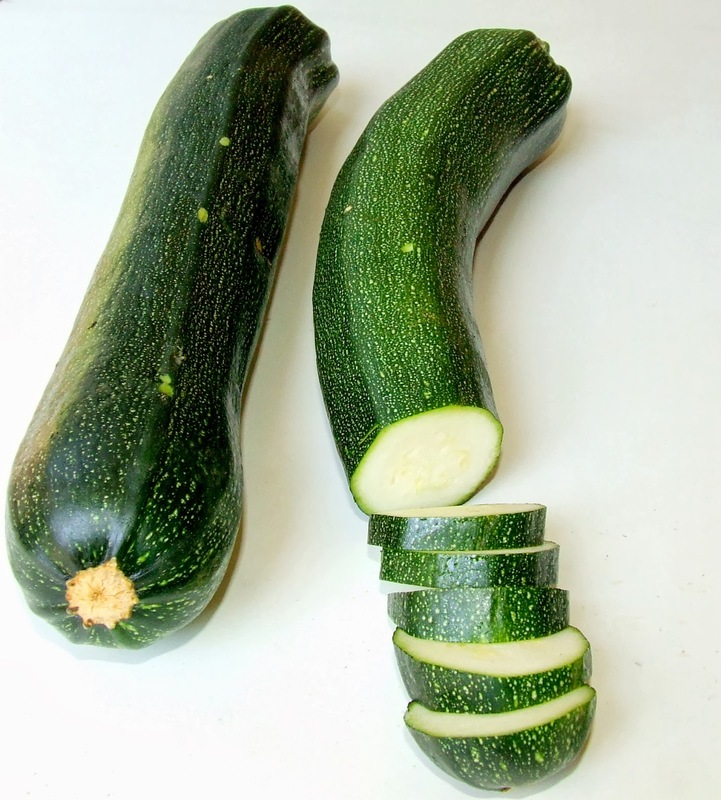 Zucchini, also known as Courgette has a bland sweet taste with no distinct flavor. Its skin is not removed before grating. It makes the bread or cake to which it is added moist without lending any flavour. I have made some changes in the adapted recipe. I have taken ½ cup each of whole wheat flour and all purpose flour in place of 1 cup all purpose flour. I have avoided ¾ cup chocolate chips. In place of ½ cup oil, I have taken 1/3 cup of oil. The bread was moist, flavourful and chocolaty. Preheat oven to 180 degrees C. Line the base of one 9x5 inch pan with a parchment paper. Grease and dust the sides. Grate zucchini, measure and set aside. Whisk together both the flours, cocoa powder, baking soda, baking powder, salt and cinnamon. In another bowl, whisk the eggs. Add sugars and oil. Mix well, add vanilla essence. Fold in grated zucchini. Now fold in the flour mix and stir gently till well combined. Do not over mix. Pour the batter into the prepared pan and bake for 55 to 65 minutes until the bread has risen and a toothpick inserted in the center comes out clean.